This little girl is destined to be a ballerina one day! 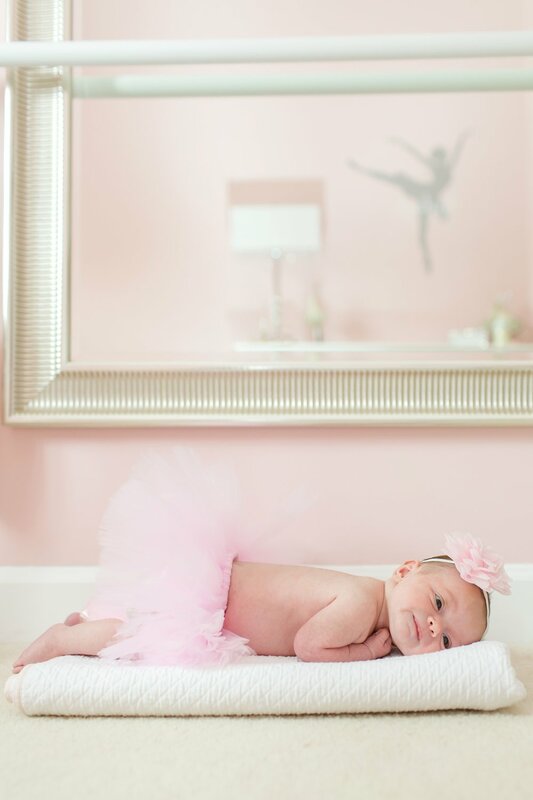 Her mom danced for years growing up and decorated the cutest ballerina theme nursery for her baby girl. 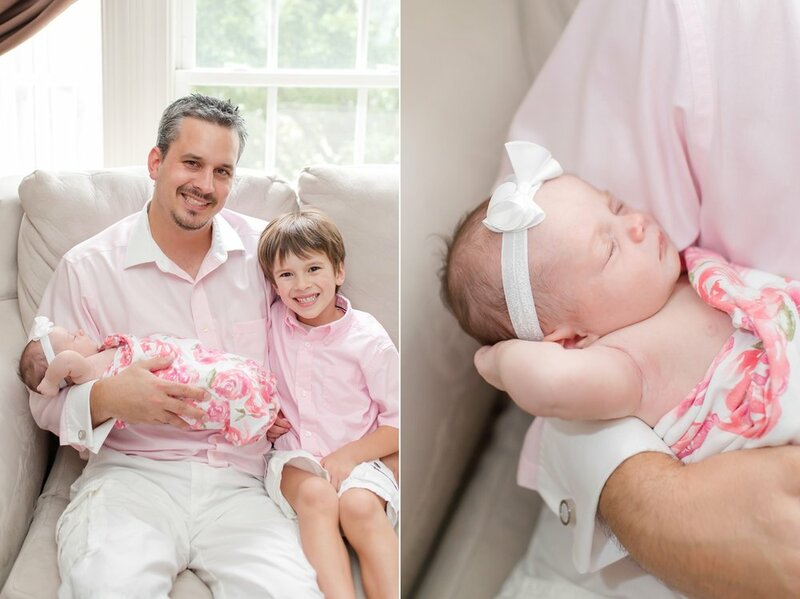 Baby Breleigh is the newest addition to the Manvilla family and she is a doll! 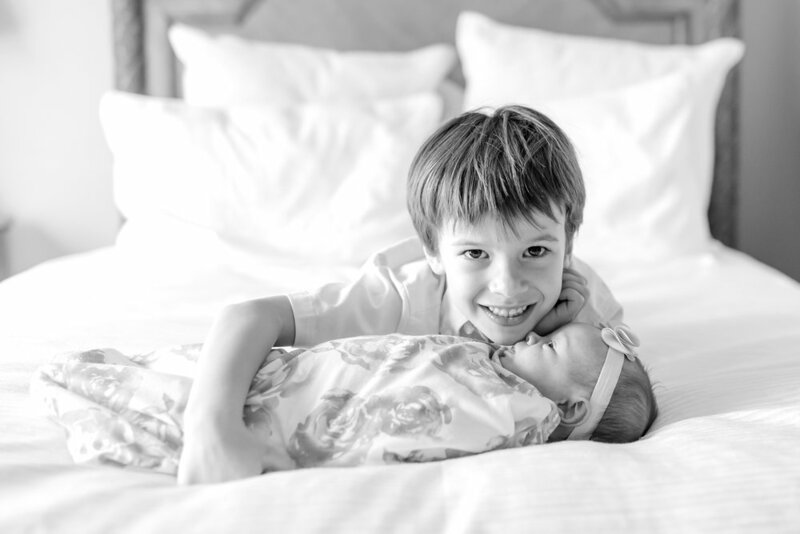 Her adorable brother Sawyer was amazing during the newborn shoot. He was kind and gentle while holding her and gave his baby sister lots of kisses! 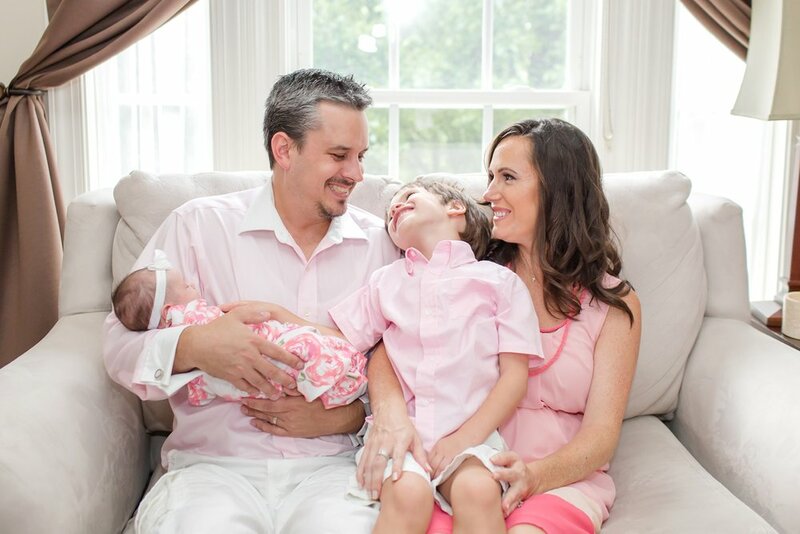 Enjoy baby Breleigh's newborn session! Sweet love from big brother! Breleigh's expressions were so cute! You are a beautiful mom, Jennifer! So happy for you family, congratulations on baby Breleigh! She is adorable. In case you missed it, check out Jenn's gorgeous milk bath maternity session!